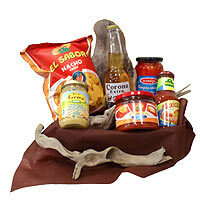 Gourmet gift baskets of Mexican style dishes created by Anthemion carefully you care for our customers who want something special to emotions and yet to impress with something really prototypo. El Sabor nacho chips chili 100 gr. 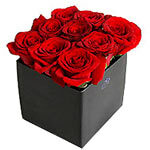 What a nice way to tell someone you're thinking about them! 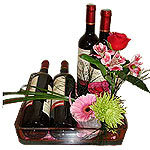 Send these tempting bottle of wines with flowers. It arrives in a platter. 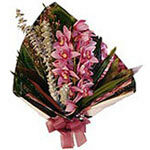 Show them you care with pink lilies and white roses. 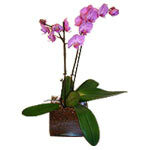 This bouquet will keep remembered by them for a long time!